BARI Deals is an ecommerce store offering a wide range of services including wearables, home appliances, tablets, phones, toys and much more. BARI Deals have a wide range of customers. Some customers want to buy the thing but in future and some wants to compare the products with others.to facilitate the customers they want a feature which enables them to do so. 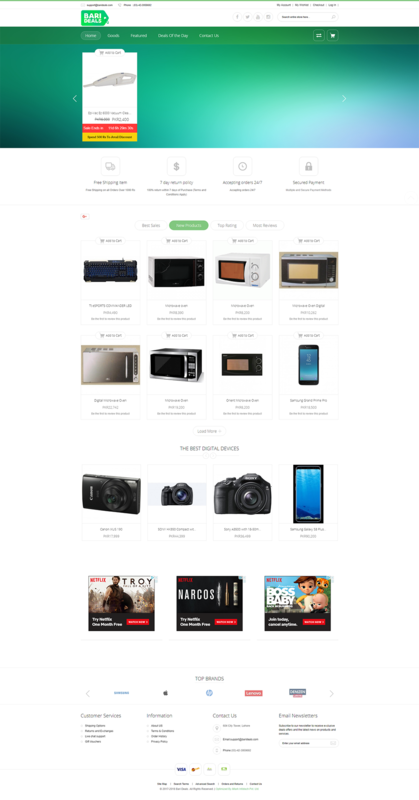 We present a feature of “Add to wish list” through which customer can save all the products that he/she want in future. To compare the products, we added compare list option through which they can easily compare the features of comparable products. · Apply security features to secure the ecommerce site.